See this unique and simple way to help and really make a difference with little pain on your end. Join the exclusive group of existing Chai Club Members. Click icon above for further details. 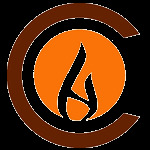 You can become a partner with Chabad at Chestnut Hill by clicking here. Dedicate the ChabadCH.com website for a month! Share your occasion or mark an event with thousands of fellow visitors. A great investment for your advertising dollars! Our website attracts local as well as regional audiences interested in services and opportunities. Chabad accepts donations of cars, in fair or good condition. At this time, we do not offer pick-up services for your car. Contact us to make arrangements and get more information. We accept gifts of PC's, office equipment, services and the like. 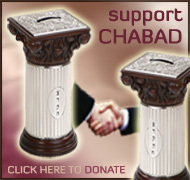 Please contact us at donate@chabadch.com to discuss your proposed gift of equipment / merchandise. Chabad is committed to strengthening Jewish identity, unity and committment. We cannot do this alone. We count on support from people known for their benevolence, sincerity and sensitivity to the needs of all mankind. Thank you for being our partner! Chabad at Chestnut Hill is dedicated to providing every Jew regardless of background, philosophy or level of commitment, an open door environment for strengthening and enhancing Jewish family life. Chabad serves individuals and families looking for an anchor and non-judgmental, accepting, personalized Jewish experience. Chabad at Chestnut Hill is a 501(c)3 charity and all contributions to it are tax deductible. All online contributions will be acknowledged within 48 hours.